Sultry jazz, fat cigars, 1950s classic American cars, palm-fringed beaches.. the clichés are all true - and wonderful - but Cuba has a lot more to offer if you dig a little deeper. The largest island in the Caribbean, Cuba's resilient people have survived Spanish conquest, slavery, revolution, totalitarianism, cold war and economic hardship - none of which seems to have dented their optimistic zest for life. 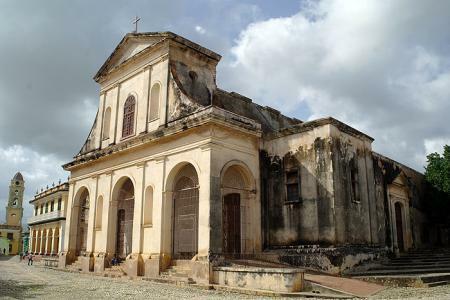 The country's rich heritage is written in the streets and buildings of towns like Havana and Trinidad, both UNESCO world heritage sites - from the crumbling, faded grandeur of colonial houses to smoky bars frequented by Hemingway and the 1930s Hollywood set, and huge billboards celebrating the achievements of Che and Fidel. Music is everywhere in the Latin/Caribbean fusion of salsa, son, bolero, mambo and rumba rhythms. Away from the pulsating dance floors and mojitos, there's another side to Cuba. You could try dining at a family-run paladar, or explore the countryside where ox carts ply between tobacco fields and sleepy villages. Extraordinary limestone outcrops give way to lush valleys filled with orchids and waterfalls. Cuban coastal resorts are deservedly popular for their azure seas and fine sandy beaches. But if you really want to get away from it all, there are plenty of quieter beaches to discover, including remote islands visited by just one or two boats a day. Stay in a private house or 'casa' as they are known locally. Accommodation is often simple and the decoration can be quite 'unique', but they are good value for money and the owners (often only Spanish-speaking) are normally on hand to make you feel at home. Travel around the country's colonial towns and places of interest with your own driver-guide. He or she will ensure you really get to know the country. 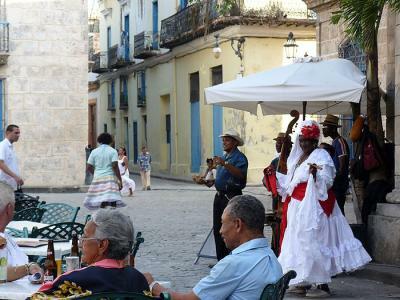 'La Habana Vieja' with its crumbling colonial facades is the place to be, soak up the music and enjoy the local 'paladares' and street cafes. 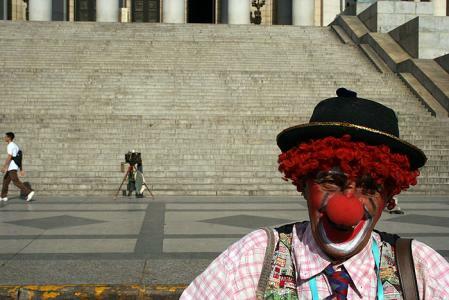 This eclectic capital oozes cuture and the unique Latino/Caribbean vibe ensures you know you're in Cuba! Cuba's Caribbean beaches are stunning. Miles of white sand and clear blue water provide the base for a myriad of water sports and activities. 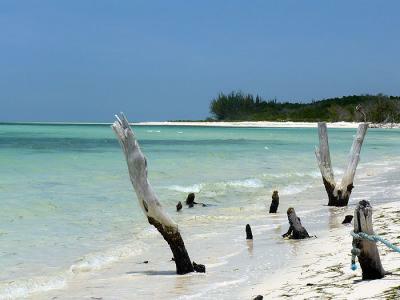 For a relaxing break away from the crowds, head to one of the cayos (islands). In general it is slightly cooler and wetter in the mountains, and warmer and drier in the east. Tropical storms and hurricanes can occur between August and the end of November (with an increased risk of travel disruption), but there is increased rainfall in June. December to April is the peak season to visit when it is drier and less humid. Mosquitos can be a problem in some areas (mainly the cayos) with the worst months being May and June but they do not carry malaria. All UK citizens require a tourist visa, arranged beforehand. Tourists use the convertable peso (CUC) whose rate of exchange is linked to the US dollar. It is best to take pounds sterling or Euros with you to exchange into CUC at the airport (or any hotel). Tipping can be done in CUC or sterling. Cuba's staple diet for many years revolved around chicken and pork, but seafood and beef now increasingly appear on menus. The national dish is congrís - rice with black beans, roast pork and fried yuca (cassava) or plantain. Local people have a sweet tooth and puddings include pastries, ice cream and caramel custard. Food served in hotels is usually buffet-style and is not always terribly exciting! 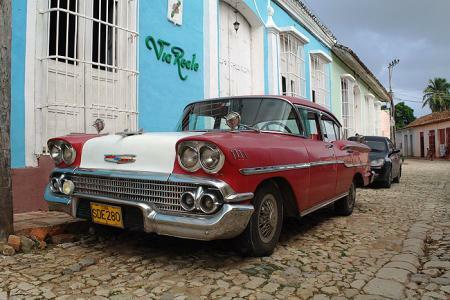 In Havana in particular there are some interesting paladars (private local restaurants) which are well worth trying. Traffic drives on the right and a full UK license is required to drive in Cuba. All hire cars have special tourist plates. Driving is not recommended at night. There are few sign posts but we can provide quite detailed maps.